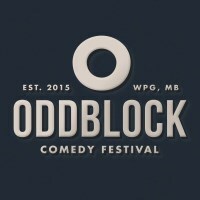 Whether You're Funny or Helpful - Oddblock Wants You! Our friends at the Odd­block com­e­dy fes­ti­val are look­ing for a few good peo­ple to per­form and pitch in at this year’s fes­ti­val — fun­ny or not, there’s a spot for you on the Odd­block team! Per­former sub­mis­sions are now open! Sub­mis­sions are open and will close July 9th, so get on it while you can. The orga­niz­ers at Odd­block work hard behind the scenes to put togeth­er a sol­id line-up of some of the best come­di­ans work­ing today, bring­ing them all togeth­er for a big sum­mer block par­ty here in Win­nipeg every year. But, inevitably, they are also approached by a lot of come­di­ans who would like to be part of the fes­ti­val, the bulk of whom they may not know. And for that, they have a handy sub­mis­sion process, which can be accessed by click­ing here! Vol­un­teers Are Also Need­ed ! Would you like to vol­un­teer at this year’s Odd­block Fes­ti­val? Well they as it hap­pens, the fes­ti­val orga­niz­ers are look­ing to put togeth­er a team of indi­vid­u­als just like you! If you’re a respon­si­ble, respectable, team play­er who wants to help build this great fes­ti­val and com­e­dy com­mu­ni­ty you can apply today!